A dying criminal confesses that his loot has been stored "in the tower." Both towers of the looted mansion are searched in vain. It remains for the Hardy boys to make an astonishing discovery that clears up the mystery and clears the name of a friend’s father. 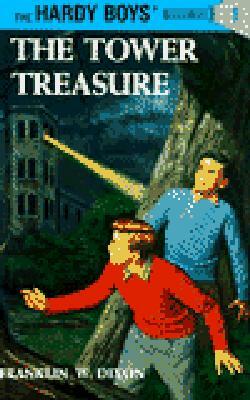 Franklin W. Dixon is a pen name used by a variety of authors writing for the classic series, The Hardy Boys. The first and most well-known "Franklin W. Dixon" was Leslie McFarlane, a Canadian author who contributed 19 of the first 25 books in the series. Other writers who have adopted the pseudonym include Christopher Lampton, John Button, Amy McFarlane, and Harriet Stratemeyer Adams.